Would you be able to pick out the correct definition out of a pool of fake definitions–for a word you’ve never heard of? That’s the premise of Fictionary, where game players come up with fake word definitions, and one player per round decides which definition is legit. We used a random word generator to pick words, a Google Form for submitting word definitions, a Google spreadsheet where the definitions populated, and a team Google Hangout to play the game. Amar, our back-end developer, emerged victorious with three victories out of seven total rounds. This was a fun, easy game to set up and play. Our team whizzed through seven rounds in 45 minutes, and learned some new vocab in the process! A screenshot of our game in progress. Can you guess the right definition? 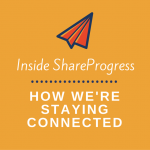 In the past few months, each member of our team has shared a unique skill with the rest of the ShareProgress crew. Amar taught us how to knit, Sandyha taught us how to read and compose music, Cindy walked us through the basics of UX, Jim explained what gamification means, Andy demonstrated climbing knots, Justine taught the basics of improv, and Anna explained how to survive Midwest winter to our mostly-Californian team. These skillshares were crazy easy to set up–all they required was a Google Hangout, and a bit of prep by the presenter. 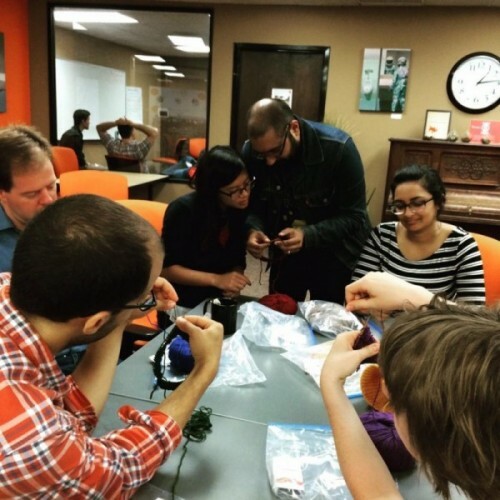 They were also an amazing way for the team to share parts of their lives that might not come up much at the office–like that Sandhya is a classically trained pianist, or that Amar met his wife at a knitting club. This skillshare happened IRL, and now we have team neckwarmers! We also all get together in San Francisco a few times a year for some much-needed face time. When we’re all in one place, we like to take a team outing to do a little adventure together. 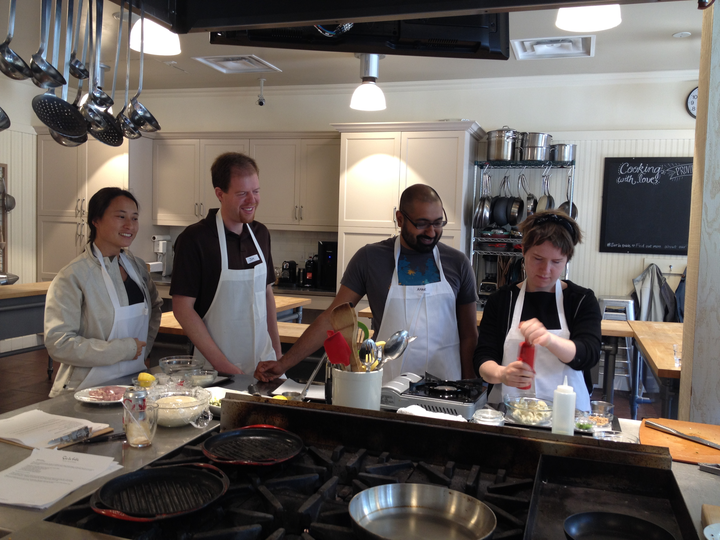 For our spring trip, we took cooking lessons at Sur La Table, and walked away able to make Middle Eastern flatbread by hand! Adding spices at Sur la Table. Our next team outing was a little crazier than flatbread and Moroccan spices. 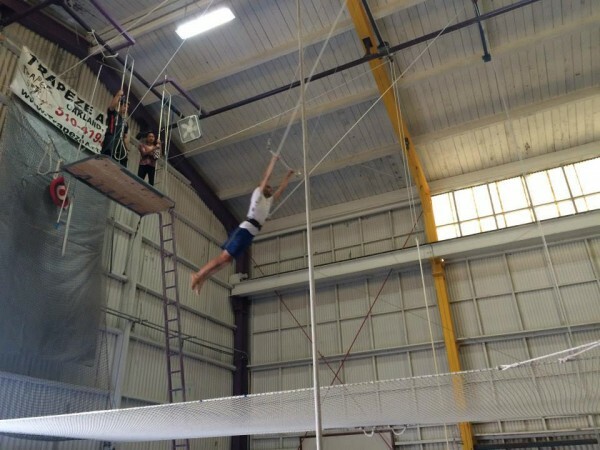 We took a team trapeze lesson at Trapeze Arts in Oakland, which was a little like doing trust falls on steroids. We learned how to hang upside down from a flying trapeze, how to do a backflip, and also that everyone looks a little ridiculous while swinging through the air. Our data scientist, Andy Zack, swinging through the air!